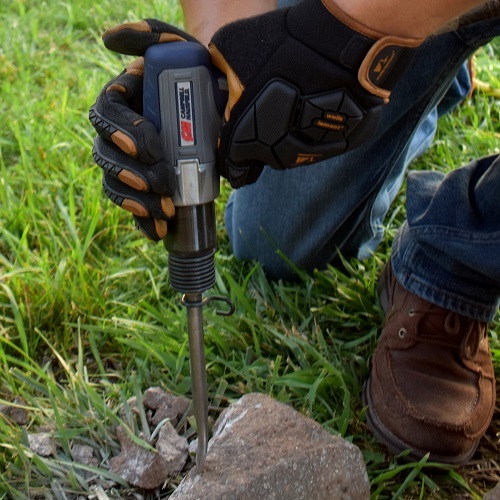 The Campbell Hausfeld Get Stuff Done 2 ¾ inch Air Hammer (XT101000) features a medium barrel length of 2 ¾ inch, delivering the power when output is critical for getting your cutting, punching, chipping or scraping jobs done. The soft, grippy contact points help to absorb tool vibration and reduce fatigue—keeping you moving and comfortable with its user friendly design. The XT101000 also boasts 2,600 impacts per minute to tackle projects more efficiently. The 0.401 standard shank diameter makes this air hammer compatible with most chisel sets while the lightweight composite design (2.9 lbs.) makes it easy to maneuver around the workspace. Average Air Consumption of 3.1 CFM @ 90 PSI. Maximum Pressure of 90 PSI. Air Inlet Size of ¼ inch NPT (F). Minimum Hose Size of 3/8 inches. An air compressor with a tank capacity of 26 gallons or larger is recommended. Get Stuff Done faster and easier with Campbell Hausfeld – The Air Power Expert. I have a number of CH air tools and they have worked as promised, which is excellent. The air hammer I purchased has a lot of power and performs perfectly. After approximately 1 month of use the deflector part of the housing came loose. The air hammer still worked and when I brought this to the attention of CH they very quickly replaced the air hammer. 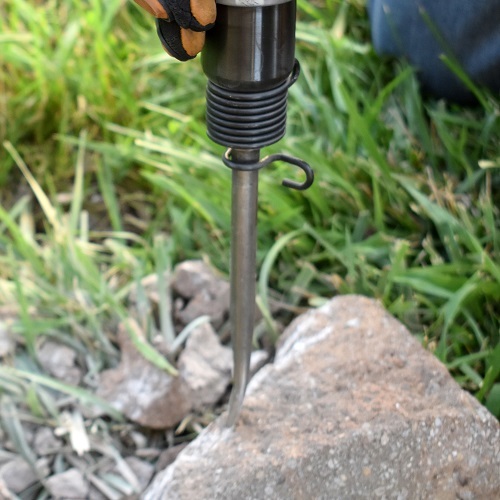 I am very impressed with the quality of this air hammer and even more impressed with the quality of Campbell Hausfeld as a company that stands behind their product. I will continue to buy CH products. 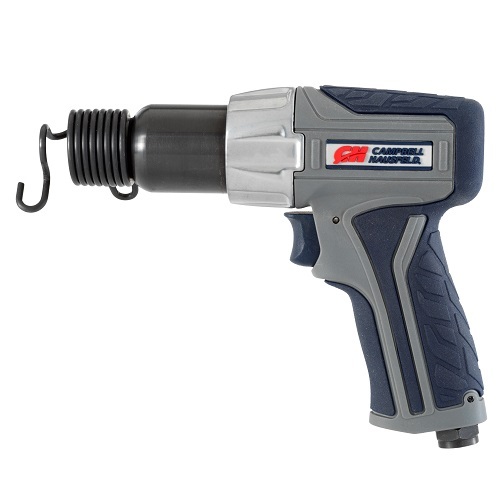 This is an excellent air hammer. Very powerful. Unfortunately within a month of purchase the deflector popped off and although I can put it back on it will not stay on. I hope this is covered under warranty as I have only had the tool just over 1 month. Regardless, it is a very powerful air hammer. 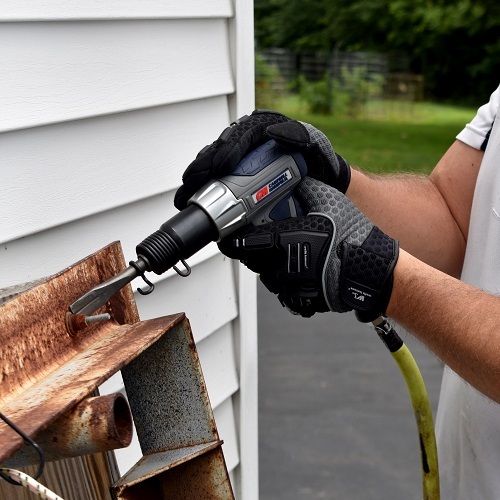 Whatever the job, Campbell Hausfeld has the air tools to get it done. 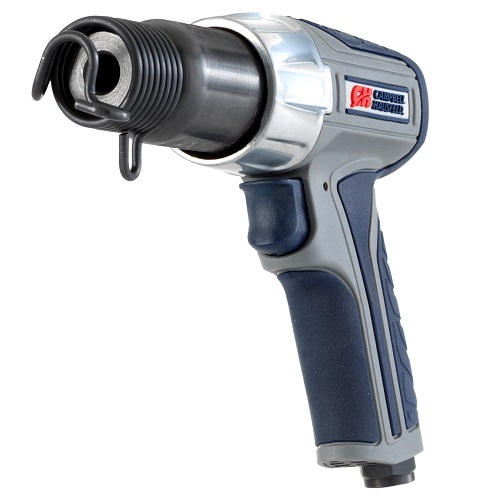 Need an air hammer, brad nailer, die grinder, cut-off tool, impact wrench or paint sprayer? We have the tool for you. 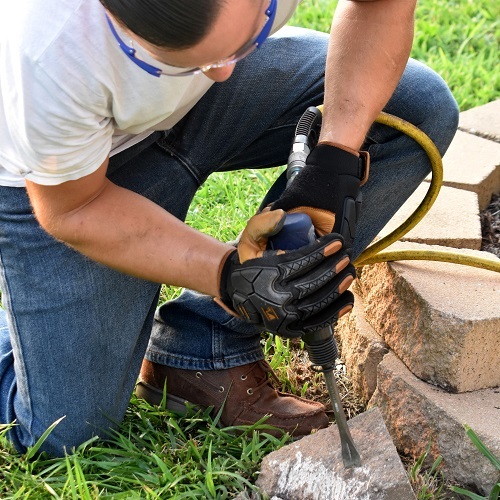 Explore individual and combination air tools, designed for both home improvement or craft projects and construction or automotive applications, and accessories and kits to complete your collection so you can get to work.